Feb09 Comments Off on America’s First Daughter is an #Audies2017 Finalist! 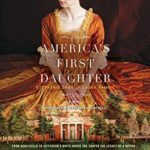 America’s First Daughter is an #Audies2017 Finalist! 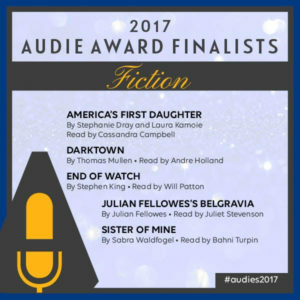 We are thrilled to share that the audiobook of AMERICA’S FIRST DAUGHTER is a finalist in the 2017 Audie Awards, awarded by the Audio Publishers Association! We have heard so many wonderful compliments from readers about the audiobook, and we were very appreciative of the work that the amazing Cass Campbell did on the narration. This is actually the second accolade for the audiobook, which was a finalist for Best Historical Fiction Audiobook of 2016 at Audible, too! If you’re an audiobook lover, have you checked it out yet? ← America’s First Daughter is a USA Today Bestseller!